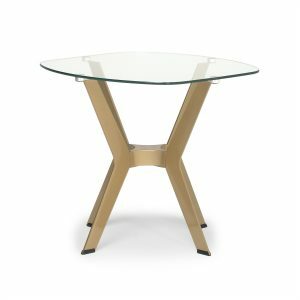 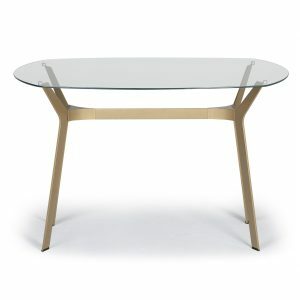 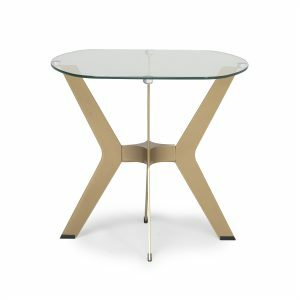 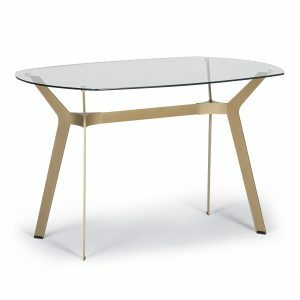 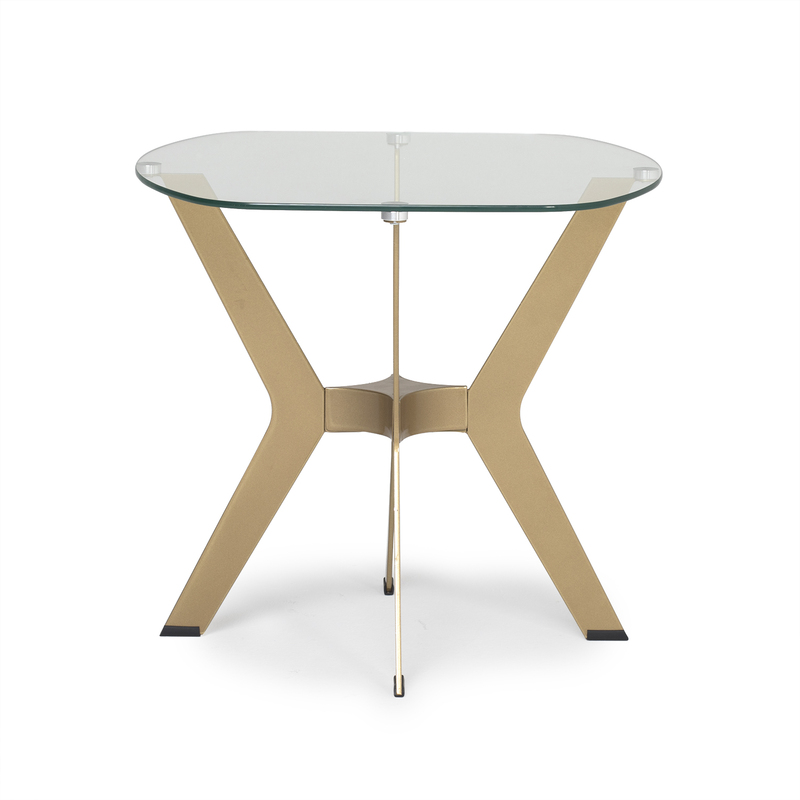 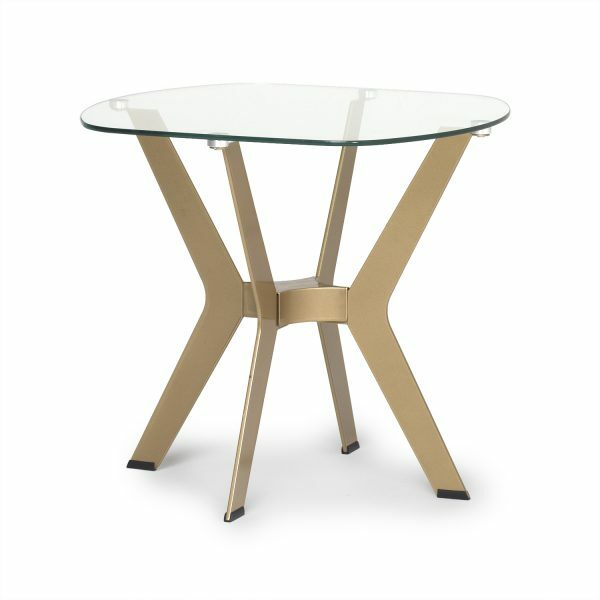 The ArchTech End Table by Studio Designs Home combines angled, gold tone, metal legs with an airy, glass top to create a luxurious and modern accent table for your home. 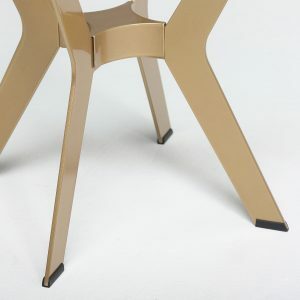 The powder coated finish on the boomerang-shaped legs helps to prevent scratching. 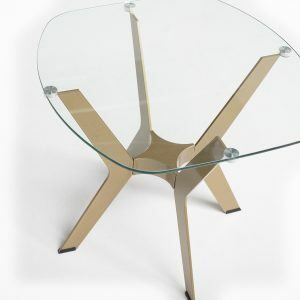 The clear glass top is perfect for small spaces. 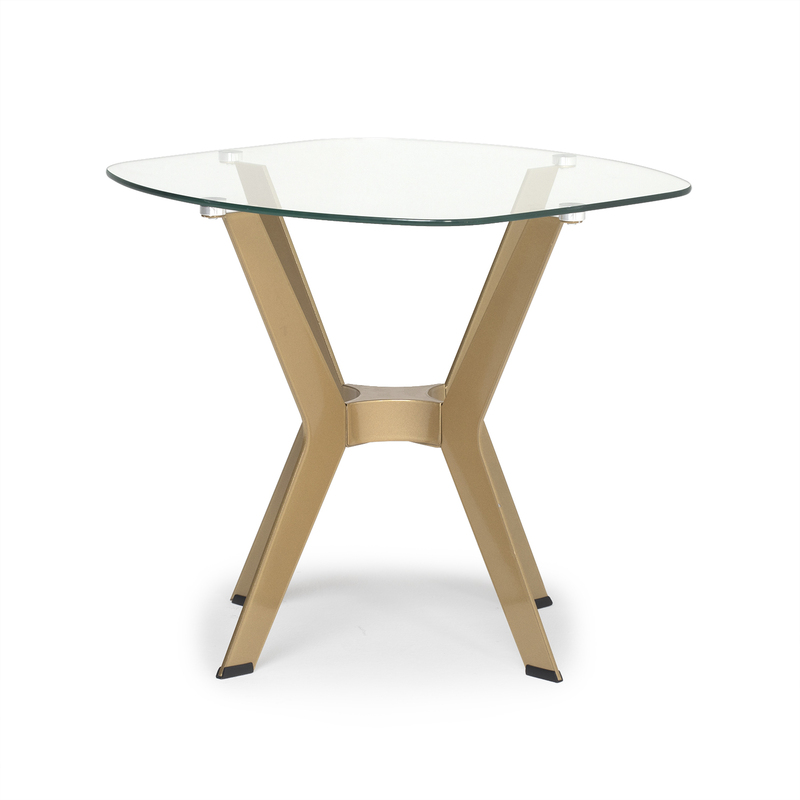 The simple lines make this mid-century inspired side table the perfect addition to your living room or bedroom.